'Captain Calamity' Steve Shapiro, who was rescued nine times in seven months, has now sold his yacht. Shapiro, who was dubbed ‘Captain Calamity’ by the media because he had been rescued so many times, has now sold his yacht, Nora. Shapiro and his crew mate Bob Weise, both aged 71, set sail from Scandinavia in the 40ft yacht in July. They planned to cruise across the Atlantic to America, but faced a series of mishaps along the way. Initially they were rescued by the emergency services in Norway and Denmark, the first time because of damage to the Nora’s propeller shaft. Further propeller problems resulted in the pair being rescued twice in Scotland, before they ran aground in Northern Ireland and again in the Republic of Ireland. Both incidents required further rescue efforts. 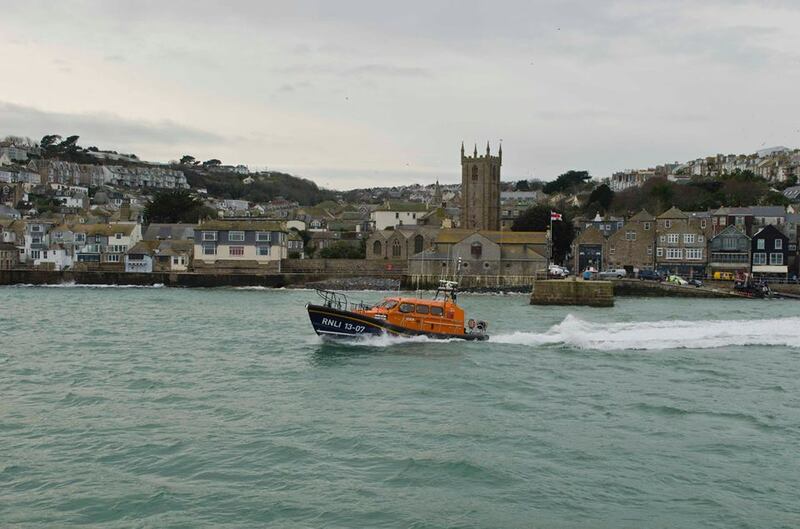 Shapiro and Weise had to be rescued three times in Cornwall – twice by the St Ives RNLI. In the final incident, the pair’s boat tipped over in Hayle Harbour and caught fire due to a candle not having been blown out properly. Dartmouth-based yacht brokers, Wooden Ships confirmed to YBW.com that the Nora has been bought and the new owners will be refurbishing the vessel. Currently, the Nora remains in Hayle. An American sailor who has required rescue nine times in seven months — three times in Cornwall alone — may be throwing in the towel. Steve Shapiro, 71, set off from Norway in July with sailing partner Bob Weise, also 71, for the US. They only made it as far as Cornwall, where, after rescues in Norway, Denmark and Ireland, they were assisted by the RNLI three times in a series of mishaps and have been stranded in Hayle since January. The incidents the pair endured — including their yacht, Nora, tipping over and catching fire whilst moored — have racked up a $14,000 repair bill. Weise has already chosen to abandon the journey and Shapiro may soon follow suit. Shapiro told NBC News: “A lot of things need fixing and I’m not sure if I’m willing to put in the costs to solve it. Shapiro found the 18-ton Nora for sale on the Internet and said the sailboat was built in 1979. He said the boat seemed seaworthy when he made inspections before purchasing, but the pair ran into trouble just a day after setting off on their voyage when they sailed over a fishing line in the North Sea and lost all power. Shapiro called the trip a “small disaster” and said Weise had returned home after his family expressed concern for his safety following negative press coverage. It’s not been the easiest of expeditions for yachtsmen Bob Weise and Steve Shapiro, both 71. After a series of mishaps that saw them calling lifeboat crews seven times, the Americans have asked for help again after their craft, Nora, tipped over in Hayle Harbour in Cornwall. And that’s not all. Fire crews had to be called to put out a small fire, caused, according to Mr Shapiro, by a candle which the pair had not extinguished properly before they went ashore to buy some groceries. “We are both fine. The boat was supposed to be tied in by a mast tie but it did not get set so the boat fell over at low tide as it is a dry harbour,” the Telegraph reports Mr Shapiro saying. “Obviously we were not happy. It appears that a candle had not been blown out properly and a little spark relit itself. “We are not going to leave until this is fixed and we get the right wind, which looks like it will be next week. Two septuagenarian yachtsmen have required the assistance of lifeboat crews seven times since July on their trip from Scandinavia to North America. The pair — both from North America — have called rescue teams in Norway, Denmark, Scotland, Ireland and twice now in Cornwall. On Tuesday 19 January, the Falmouth Coastguard sent the St Ives Lifeboat team out to tow their sailboat, Nora, back to harbour. Bob Weise and Steve Shapiro, both 71, told the BBC the rescues have had nothing to do with their seamanship abilities, saying they have just had bad luck. According to a statement from the St Ives Lifeboat team, Weise and Shapiro called for help when their sailboat lost propulsion and was drifting 1.5 miles north of St Ives Head off Corwall’s southwestern tip. Nora has a broken propeller shaft and a faulty battery, and was moored in a safe spot outside the harbour for repairs. A spokeswoman from the Maritime and Coastguard Agency confirmed they had responded on two occasions over three days to assist the crew of the Nora. Shapiro, a screenwriter, and Weise and ex-US Army helicopter pilot have said they plan to continue their transatlantic journey once repairs to the boat have been finished. The post Captain who was rescued nine times in seven months sells his boat appeared first on YBW. Members of the National Bargee Travellers Association are marching in London on 16 April over a clamp down on boat dwellers without permanent moorings. The National Bargee Travellers Association claims a clamp down by the Canal & Rivers Trust (CRT) on boat dwellers without permanent moorings on its waterways is a “determined attack” on their way of life. The CRT interprets this to mean that boat owners must be continuously cruising, up to 20 miles a year in any one direction. However, a lack of permanent moorings and the pressures of being close to a job or a school means many boat dwellers travel much shorter distances, usually up and down the same stretch of waterway. Last month, the CRT announced that from 1 May 2016, it will no longer offer three month restricted licences to boaters who have not been meeting the terms of their ‘continuous cruiser’ licence. The trust argues that since May 2015, it has been doing all it can to provide “greater clarity” to boaters without a home mooring. This has included: getting in touch early to let boaters know when they haven’t been moving enough to meet the terms of their licence; sending out information packs when people take up a ‘continuous cruising’ licence; and sending text messages to overstaying boats to see if they need any help. The CRT’s head of boating, Mike Grimes, believes the measures are having a positive effect. “It has been encouraging to see that many boaters on short duration licences have been able to increase their range of movement, while a number have opted to take home moorings. Half of those issued with a three month licence, and nearly two-thirds of those issued a six month licence, improved their cruising pattern whilst on a restricted licence and were offered further licences on this basis,” he said in a CRT media release. Grimes explained that offering three month restricted licences was always a temporary measure. “Six month restricted licences may still be offered to those boats that aren’t quite meeting the movement requirements to allow them a final opportunity to show an improvement. Boats without a home mooring that are not moving in line with our guidance, despite all the communication they have received, will no longer be offered a licence of any duration,” he said. But, the National Bargee Travellers Association is demanding that the CRT stops “evicting or threatening to evict boat dwellers without permanent moorings based on their travel pattern, because of an arbitrary and unlawful minimum distance ‘rule’ that has been imposed since last May”. It also wants a stop to 24-hour mooring limits, arguing that the law entitles boat dwellers to stay 14 days in one place. The association claims boat dwellers without permanent moorings suffer “persistent harassment”, “violations of privacy” and a “lack of support” for their live-aboard needs. It wants the CRT to do more to maintain the banks and towpaths of the waterways and install more mooring rings and facilities. On 16 April, the association will be joining the March for Health, Homes, Jobs and Education in London. It will be handing in a petition to Parliament demanding that the Government pressures CRT to “stop its attack on boat dwellers without a permanent mooring”. The post Protest over “attack” on barge travellers without permanent moorings appeared first on YBW. The Government has announced that a purpose-built helicopter hangar will now be built at the Kent airport to house the search and rescue fleet. The Department for Transport has announced that Lydd Airport, Kent, will be the permanent base for the UK Coastguard’s search and rescue helicopter fleet in the south-east. The UK Search and Rescue Helicopter Service has operated out of Lydd Airport on a temporary basis since August 2015. The decision to make this arrangement permanent will enable the operators, Bristow Helicopters Ltd, to push ahead with plans to build a new £7 million search and rescue helicopter hangar at the airport. The new hangar will house two state-of-the-art search and rescue helicopters that will operate a lifesaving service around the clock. In a joint statement from the Department for Transport and the Maritime and Coastguard Agency on 13 April, the Transport Minister Robert Goodwill said: “The UK Coastguard’s Search and Rescue Team in Lydd already play a vital role in emergency lifesaving operations in the south-east and the decision to make this the permanent base for the service will be much welcomed by the crew and the operator. “This will give the crew real certainty about their future with the service, allowing them to put down roots in the local community, and will allow Bristow Helicopters Ltd to push ahead with their plans to build a new, state-of-the-art facility.” he concluded. The Maritime and Coastguard Agency and its contractor Bristow Helicopters will be working closely with the airport owners and the local community at Lydd over the coming months as the development of this new facility starts. The post Lydd Airport to become permanent search and rescue helicopter base appeared first on YBW. Land Rover BAR launched the T3 at the team’s America’s Cup home base in Portsmouth. The AC45S foiling catamaran is another test platform for the 50-foot catamaran that the team will use in their bid to become the first English racing syndicate to win the America’s Cup in Bermuda next year. The rules of the competition only allow the team to build one full-size 50 foot America’s Cup Class (ACC) boat. However, the team can build shorter (45 foot) versions as test boats – T3 is one of these. The rules also define much of the hull shape and structure, making wing and hydrofoil control systems one of the key technology battlegrounds. Just as wire cable linkages between the accelerator pedal and the carburettor in cars have been replaced by sensors and electronics; aboard T3, the ropes previously used to control the sails have now been replaced by hydraulics and electronics. And so almost all of the team’s innovation and new technology is hidden deep inside this third boat on the long development path to the final race design for the 35th America’s Cup. T3 will sail from Portsmouth, with a full development and testing programme to conduct throughout the summer. The team’s previous state-of-the-art test boat, T2 suffered damage in December during training on the Solent. The boat capsized off Ryde, Isle of Wight causing damage to a section of the wing. None of the crew were injured. The post Video: Ainslie’s team unveils third America’s Cup test boat appeared first on YBW. The Mirabaud Yacht Racing Image award is the world’s premier photography competition dedicated to the sport of sailing. It was started in 2010 with the aim of allowing professional yacht racing photographers to share their passion for the sport with a wide community. In order to fit with the latest trend and carry on improving, the event has announced a new set of rules. These have been established with the support of some of the most prominent yacht racing photographers. The top 80 photographs submitted will be preselected by a panel of three international and well recognised yacht racing photographers and published on the event’s website. The top 20 pictures selected by the jury will be displayed during the Yacht Racing Forum, on 28-29 November. The winning photographer will receive the Mirabaud Yacht Racing Image award and at least € 1,000 prize money. Overall, a minimum of € 2,000 prize money will be distributed to the winners. Two secondary prizes will also be awarded during the Yacht Racing Forum: The Yacht Racing Forum Award, which is selected by the delegates attending the Yacht Racing Forum, and the Public Award which is selected by the votes from the public on Facebook. Photographers can submit only one photograph, taken between 1 November 2015 and 13 October 2016. “The world’s most prominent yacht racing photographers didn’t like the fact that too much importance was given to the votes of the public on Facebook”, says the event organiser, Bernard Schopfer. “We will still use this social network to promote the event, but the winner will be selected by the jury. Likewise, the top 20 pictures displayed at the Yacht Racing Forum will have been selected by the international jury,” he states. The 2015 Mirabaud Yacht Racing Image uncovered a stunning collection of images sent by 135 professional photographers spanning 29 countries. More than one million people saw their pictures through social networks, whilst 1.5 million page views have been accounted on the event website. The post Pictures: 2016’s Mirabaud Yacht Racing Image award launched appeared first on YBW. It also stresses the need for all fishing crews to carry out regular emergency drills, as well as the importance of fire prevention, detection and emergency procedures. The report states that the fire broke out on the Karinya at around 1pm on 4 October, 2015. The skipper, who was aft of the wheelhouse at the winch controls, smelt burning and assumed it was coming from the engine room. He entered the wheelhouse, heard the fire alarm sounding, and decided to proceed to the engine room to investigate. As he began descending the internal stairway, he saw thick smoke coming out of the open doorway at the top of the stairwell leading down to the cabin. He could not get close enough to the door to close it, and shouted to the four crew, who were on the aft deck, to collect their lifejackets and to close the doors. The crew were unable to collect their ship lifejackets as they were stowed in the burning cabin. Instead, they put on inflatable lifejackets that were stored in a locker on the aft deck. All five crew members then deployed a life raft and abandoned the trawler. They were rescued by a nearby fishing vessel. The MAIB report highlights a number of safety lessons. It states that although the Karinya was fitted with an automatic fire detection and alarm system, it could not be heard from the winch control position aft of the wheelhouse. bedding and crew’s personal effects. As a result of the trawler not operating a closed-door policy or having a remote closing cabin door, the smoke spread quickly. The MAIB says this could have been prevented if these measures were in place. due to the volume of smoke from the fire. The MAIB stresses that lifejackets and all other emergency equipment should be “stowed in positions from which they can be readily accessed in an emergency”. The investigation has concluded that the “rapid and controlled abandonment of Karinya” showed the benefit of all crew members carrying out regular emergency drills. It also demonstrated the benefit of ensuring safety equipment is properly maintained. The alarm was raised at about 13:00 on Sunday (04 October) after the Karinya got into difficultly 20 miles from Fraserburgh. A rescue helicopter and the Fraserburgh lifeboat were both sent to the scene and no-one was injured in the fire or rescue. The Karinya’s emergency broadcast had been picked up by the coastguard and the fishing vessel Pleiades BF155. The crew had abandoned the boat and were rescued from a life raft. They were then airlifted ashore by the coastguard rescue helicopter. The coastguard later confirmed that the boat sank following the fire but no significant pollution was found in the area. Fisheries secretary Richard Lochhead said: “The crews of the Pleiades, the Fraserburgh RNLI lifeboat and the rescue helicopter deserve our admiration, our thanks and our praise for responding so quickly and ensuring that the five trawlermen on the Karinya got home safely. The post MAIB: Poorly discarded cigarette “probable” cause of trawler fire appeared first on YBW. Race organisers say a unique collaboration with the Hong Kong Sailing Federation will bring the event to the iconic Victoria Harbour. It will be the largest world-class sailing event ever staged in the port. The world’s toughest offshore race will transform the old airport in Kai Tak – where a Race Village will offer activities for both sailing fans and those new to the sport. The city will also host an In-Port Race, giving spectators the opportunity to sample the electric live atmosphere and grab a closer look at the 65-foot racing machines which make up the fleet. Speaking at the announcement on 13 April, Hong Kong Sailing Federation Council Member, Anthony Day said: “Offshore yacht racing doesn’t get any more exciting or prestigious than the Volvo Ocean Race and this stopover will put Hong Kong firmly on the map as an international sailing venue. “We look forward to welcoming the fleet to our waters and to introducing the skippers and crews to a generation of Hongkongers who, I hope, will be inspired to get out there and involved in the sport,” he concluded. “We’re delighted to welcome Hong Kong to the Volvo Ocean Race family and know that we will have a stopover here, which will be one of the highlights of the 2017-18 edition. I’d like to pay a special tribute to the Hong Kong Sailing Federation and the Hong Kong government for making our dreams of bringing the race here a reality,” he stated. Hong Kong brings the confirmed list of Volvo Ocean Race 2017-18 stopovers so far to nine, alongside Alicante, Auckland, Cape Town, Cardiff, Newport (US), Lisbon, Gothenburg and The Hague. The post Hong Kong to host Volvo Ocean Race for the first time appeared first on YBW. The family of Lisa Brown says a European Arrest warrant has been issued to trace her 33-year-old boyfriend, Simon Corner. The post Arrest warrant issued for British yacht dealer sought in disappearance of Lisa Brown appeared first on YBW. The post Rescue launched after three men set sail in a fridge freezer appeared first on YBW. The Marina da Glória at Guanabara Bay will be used for the sailing events of the Rio 2016 Olympics and Paralympic Games. The sailing venue for the Rio 2016 Olympics has been expanded and modernised, and was opened to the public on 7 April. For almost a decade, access to the Marina da Glória was restricted to boat users. Now, following the €17.1 million refit, Rio’s residents and visitors have access to new leisure facilities. As well as being expanded and redesigned, the marina has been completely integrated with Flamengo Park, one of the most popular leisure areas in Rio de Janeiro. “Before, the Marina da Glória did not welcome locals. Today, it is a new, revitalised space with its arms wide open for visitors,” said Marco Aurélio Sá Ribeiro, President of the Brazilian Sailing Confederation. Located on Guanabara Bay, Marina da Glória has already hosted two test events, in August 2014 and August 2015. The Rio 2016 Organising Committee will take over the site on 13 July, ahead of the Olympic regattas in August and the Paralympic competitions in September. “We have complied with our commitments, ahead of time. The facility we are handing over is ready. Our focus now will be on operations,” stated Ricardo Leyser, Brazilian Minister of Sports. As part of the renovation, the capacity of the venue has been significantly increased. The number of berths in the water has gone from 140 to 415 and the number of dry stacks has increased from 70 to 240. The marina’s jetties have been redesigned, new electricity and water infrastructure installed and a modern pavilion for athletes has been completed. A car park with space for 470 cars has been built and security for the boats has been improved. As well as the investment in new sailing facilities, the marina now contains an extensive leisure area for the general public, including four restaurants, a delicatessen, bicycle path and bike racks. After the Paralympic Games, the venue will be used for sports, cultural events and entertainment. The marina will also offer sailing and diving courses as well as boat rentals and will have a special area for fishing. The opening of the marina comes as controversy continues over the cleanliness of the water of Guanabara Bay. Last year, the Associated Press published findings of a five-month study into water quality in the bay. It found evidence of viruses linked to human sewage which can cause stomach or respiratory ailments. As part of Rio’s bid to host the Olympics, Brazilian authorities had pledged to clean up the polluted bay. The International Olympic Committee says local organisers have followed testing procedures of the water established by the World Health Organization (WHO) that focus on testing for bacteria and not viruses, and that it has “had reassurances” from the WHO “that there is no significant risk” to the health of competitors. On 7 April, the same day as the opening of Marina da Glória, Brazilian police gathered samples from some of Rio de Janeiro’s largest sewage treatment plants to determine whether the facilities are actually treating sewage. AP also reported that documents were sized from at least six sewage plants as part of the police investigation into Rio’s state water and sewage utility, Cedae. Meanwhile, World Sailing, the international governing body for the sport, has declared itself “satisfied” with preparations for the sailing regattas for the Rio 2016 Olympics. It comes following a four-day visit to Rio at the end of March. The delegation heard about efforts to improve the situation, such the construction of pipe belt to prevent sewage entering the water near the Marina da Glória venue, and the use of eco-barriers to stop floating debris from entering the bay from rivers. “We will continue to monitor water testing data closely and to educate sailors and officials on what they can do themselves to reduce health risks ahead of the Games,” he concluded. Also present in the World Sailing delegation were CEO Andy Hunt, technical delegates Alastair Fox and Scott Perry, and events committee chairman Pablo Masseroni. They met with the Rio 2016 Olympics organising committee, the city and state governments, the state environment institute (INEA) and Rio’s state water and sewage utility, Cedae. The governing body stressed that having seven racing areas and three reserve days for each of the 10 sailing events provides great flexibility. The Rio 2016 Olympics take place 5-21 August and the Paralympics 7-18 September. The post New look sailing venue for Rio 2016 Olympics opens appeared first on YBW. Police Scotland have now released the names of the two fishermen who died when the Louisa sank near Mingulay, off the Western Isles. Emergency crews rescued 10 French fishermen trapped on capsized fishing boats in Dartmouth Harbour. The post Fishermen who died following the sinking of the Louisa off Scotland are named appeared first on YBW. The programme, which airs this Friday, sees the BBC film crew follow the build of Sunseeker International’s new 131 Yacht from conception through to its launch. Sunseeker is starring in the BBC Two documentary, ‘Britain’s Biggest Superyachts: Chasing Perfection’ which will air this Friday, 15 April at 9pm. During the 10 months of filming, the crew was given behind the scenes access to capture the journey of the new 131 Yacht (pictured above) from concept to build at the manufacturing facility in Poole, and then through to final delivery. The 131 Yacht enables its owner to tailor every element of the interior design and layout to their personal preferences via Sunseeker’s unique ‘Bespoke’ service, which is highlighted in the one hour long documentary. As well as documenting the build in its Dorset shipyards, filming also took place during the boat shows in the latter half of 2015 and at the London Boat Show in January of this year, where the 131 Yacht made its world premiere. The 40 metre yacht is the largest model ever to make its debut in London. The 131 Yacht is based on the classic Sunseeker deep V hill. It can accommodate up to 12 guests depending on the layout and options selected. A standout feature is the addition of feature glass in the master stateroom, saloon and upper saloon to create a light filled and comfortable environment for owner and guests. The large tri-deck yacht has an extended cruising range of 1,500 nautical miles when operating at 10 knots, and boasts a top speed of 23 knots. Build time for each new 131 Yacht is around one year. UK-headquartered luxury boat manufacturer Sunseeker says it's making one Predator 57 model a week and selling them for £1m each. The post Sunseeker to star in new BBC documentary appeared first on YBW. The legendary car manufacturer, Aston Martin and Quintessence Yachts will showcase the AM37 at Milan Design Week. The post Pictures: Aston Martin unveils the AM37 powerboat appeared first on YBW. There is just under 100 days to go until Sir Ben Ainslie's Land Rover BAR team returns to race on home waters. The British team won the first America's Cup World Series race in Muscat in February. But, the team says sailing in front of a home crown is always a highlight. The post Countdown until America’s Cup World Series returns to Portsmouth appeared first on YBW. Rolls-Royce is heading a consortium which is developing the technology to allow crewless boats to be controlled on land. The first year findings of the Advanced Autonomous Waterborne Applications Initiative (AAWA) project were presented at a conference at Helsinki’s Finlandia Hall earlier this month. Rolls-Royce believes that autonomous shipping will radically change the maritime industry, helping to save money and end the staffing shortages faced by the sector. It will also have the potential to create new shipping services, such as online cargo service marketplaces. The President of Rolls-Royce Marine, Mikael Makinen, said, “Autonomous shipping is the future of the maritime industry. As disruptive as the smart phone, the smart ship will revolutionise the landscape of ship design and operations.”. The project’s technology research is being led by Jonne Poikonen, Senior Research Fellow, Technology Research Centre at the University of Turku, and Dr Mika Hyvönen, Senior Research Fellow at Tampere University of Technology. Poikonen says individual technologies for crewless ships now exist, but the challenge is bringing them together without it costing too much. Overcoming legal hurdles and regulatory approval, as well as testing the remote control vessels at sea also needs to take place. Cybersecurity will also be critical to the safe and successful operation of remote and autonomous vessels. The ships will pilot themselves via sensors such as radar, lasers and computer programmes. The first test partners have signed up to the project. Finnish company Finferries’ 65 metre double ended ferry, the Stella, will be used to test how crewless ships function in a real environment. The vessel sails between between Korpo and Houtskär, The sensor arrays onboard will be tested in a range of operating and climatic conditions. ESL Shipping has come on board to explore how drone ships can be used for shorter cargo trips. The project has been supported by Finnish Funding Agency for Technology and Innovation of Tekes. The US Navy has launched and speed-tested the latest weapon in its arsenal against enemy submarines. The post Pictures: Rolls-Royce announces crewless smart boats by 2020 appeared first on YBW. Three men, including Princess Yachts former facilities manager Glyn Thompson, are now behind bars after swindling the luxury boat company out of £1M. Glyn Thompson, 57, Darren Tallon, 43 and Roger Truen, 49 were all given prison sentences by Judge Paul Darlow. The men defrauded Princess Yachts between 2010-2013 by conspiring with contractors. They set up false invoices, as well as grossly overcharging the firm. The fraud was only uncovered when a sub-contractor raised the alarm with senior managers of the company. Judge Darlow jailed Thompson, the mastermind behind the plot, for six years. Tallon will serve four years and six months in jail, while Truen was sentenced to 40 months. Both Thompson and Truen worked for Princess Yachts, while Tallon acted as a contractor. Two other men, Michael Honey, 51, and John Tinley, 48, were also sentenced to 14 months suspended for two years for their part in the plot. Both of them acted as contractors. Thompson, of Thornbury Park Avenue, Peverell, and Tallon, of Elfordleigh Farm, Plympton, has always had denied conspiracy to defraud Princess Yachts. But they were convicted after a three-month trial. Truen, of Mitchell Close, Plymstock, Honey, of Pemros Road, Plymouth, and Tinley, of Langstone Road, Plymouth, all pleaded guilty to two counts of conspiracy to defraud. All five men will now face further court hearings under the Proceeds of Crime Act to try and reclaim the stolen money. Senior boss Glyn Thompson, 57, is accused of defrauding Princess Yachts of more than £1m over three years with the help of his deputy Roger Truen. The facilities manager, is currently on trial accused of plotting with contractors of inflating invoices to the luxury boat maker and even raising fake ones. The jury heard how the pair received envelops containing cash by contractors in order to secure work with the yachting company. One of the contractors who has pleaded guilty, former director of Elite Facilities Solutions Michael Honey, has stated in court that his company paid £36,100 to Thompson and Truen over a period of several months and that Truen told him to inflate quotes for services at Princess Yachts. Glyn Thompson and Roger Truen were paid a ‘referral fee’ in cash. He eventually pulled out of the scheme as money was coming out directly from his and other directors involved in the scheme’s dividends. Elite Facilities Solutions were appointed to oversee two contracts for Princess Yachts, one involving the demolition of buildings and the fencing off of the site at South Yard, Devonport Dockyard in Devon. Michael Honey said that generally Roger Truen picked up the envelops full of cash, but that in one instance Glyn Thompson collected the money himself. It’s also been revealed that Thompson was a director of Mulberry Developments along with co-defendant Darren Tallon, whilst Truen was in charge of Quins Project Management. Mr Honey said that EFS paid invoices to these two firms, however he admitted he never saw Mulberry Developments or Quins Project Management’s workmen on site. Thompson has denied the charges and has pleaded not guilty to the charge of defrauding Princess Yachts using EFS. The post Three jailed after plotting £1M fraud against Princess Yachts appeared first on YBW. Concerns are raised over the future of HMS Illustrious following claims that a deal to sell the warship to Gibraltar has collapsed. The HMS Illustrious Association is warning that the warship is at risk of becoming a ‘national embarrassment’ if action isn’t taken to secure the vessel’s future. This comes as the Portsmouth News reveals that a deal to sell the 22,000 tonne vessel to the government of Gibraltar has fallen through. The newspaper quotes a spokesman from the government, stating that it was giving “serious consideration” to plans to make the ship a maritime attraction in the British territory. However, the idea has been shelved because of the “prohibitive” maintenance cost of the aircraft carrier. The President of the HMS Illustrious Association, Vice Admiral Bob Cooling told the newspaper that he would now rather see the ship scrapped if the Falklands warship could not be adequately preserved. “Unless Lusty’s future is adequately funded to preserve her appearance and dignity as the UK’s longest-ever serving aircraft carrier then it would be better that she is scrapped rather than risk her becoming a national embarrassment,” he said. The Vice Admiral believes ticket sales could have paid for the ship’s upkeep in Gibraltar. “What better than such an iconic example of British naval heritage showcased in a vital overseas territory which itself reflects over 300 years of British maritime history?” stated Vice Admiral Cooling. HMS Illustrious was decommissioned in August 2014 at a service at Portsmouth Naval Base. At the time, the ship was the last Invincible-class carrier left – both her sister ships, HMS Invincible and HMS Ark Royal had already been scrapped. ‘Lusty’, as she is affectionately known, had been in active service for 32 years, including deployment in the Falklands War. The ship was replaced as the nation’s helicopter carrier by HMS Ocean. The Royal Yacht Britannia, the Queen's former ship, tops the list for the 10th year in a row. The post Fears over future of HMS Illustrious appeared first on YBW. The boat, which will enable more people with disabilities to go sailing, can be used by any club in the North West which is an accredited RYA Sailability site. The new access boat for the disabled has been handed over at Bolton Sailing Club. It was presented to the club’s President, Keith Roberts, by the Chairman of the RYA North West Region, Michael Moore and the RYA Sailability North Development Officer, Warren Price. The Hansa 303 was bought with the aid of a grant, donations and match-funding contribution from the Royal Yachting Association (RYA) North West Region. The boat will be used for teaching the basics of sailing, building confidence on the water and use in special school regattas. It will also enable training of instructors to answer the particular needs of people with disabilities through the RYA Sailability programme. Sailing is one of the very few sports where sailors with disabilities can use specially-adapted boats to compete against fully able people in mixed-class events. A handicapping system enables direct comparison of different shapes and sizes of boats. While the new boat will be based at Bolton Sailing Club, any club in the North West which is an accredited Sailability site or wants to be one can request the use of the boat. The access boat has a very heavy removable keel that gives stability in strong winds. The boom is also angled up for safety. The class has single and double person versions. They are fitted with adapted controls: a joystick instead of a tiller for steering and can even have motorised modifications for those with reduced movements or strength. Through RYA Sailability, more than 53,000 disabled young people and adults are introduced to sailing per year, and many go on to sail on a regular basis. The post New access boat for the disabled in the North West appeared first on YBW. Work has now started on a new Llandudno RNLI Lifeboat Station at Craig-y-Don. At the moment its lifeboat has to be towed through the town to the sea by tractor when needed. Building work on the new £2.6 million modern boathouse at Craig-y-Don, Llandudno began on 11 April. It follows years of delays and planning battles to find a site in the town. The facility will house the latest £2m Shannon class all-weather lifeboat, which is expected to be delivered in 2017. This will replace the existing Mersey class lifeboat Andy Pearce, which is reaching the end of its operational life. The current Lloyd Street boathouse is in a busy town centre, and is not fit for purpose. At the moment, a tractor has to be used to tow the lifeboat through the town to the sea. The boathouse also isn’t large enough to accomodate the new lifeboat. In 2012, the RNLI’s trustees agreed the allocation of a 25 knot Shannon class lifeboat for Llandudno. With this in mind, and as previous planning applications to build a new lifeboat station on a site near the pier had failed, the RNLI carried out extensive trials at a new site at Craig-y-Don in 2011. These trials were hailed a success, and in due course, in September 2014 the RNLI was granted planning permission to build the new station here. The project is expected to take about 14 months to complete. The new RNLI lifeboat station is designed to house a new 25-knot Shannon-class all-weather lifeboat and a D-class inshore lifeboat together with their launching equipment. The modern facilities will give the RNLI’s volunteer crews the facilities they need to provide an efficient lifesaving service for many years to come. The Llandudno RNLI Lifeboat Operations Manager, Marcus Elliott, says the delays in getting a new boathouse has been “a frustrating and difficult time for us all”. “During trials the site at Craig-y-Don proved suitable to operate from using the RNLI’s revolutionary new Supacat launch and recovery unit, specially designed for use with its new Shannon-class lifeboats. The site would have been totally unsuitable as an all-weather launch site for the current lifeboat, however with advances in technology and boat design together with the introduction of the new unit the site is ideal. We very much look forward to seeing the build project commence,” he states. “We would like to thank the large number of people who so kindly took the trouble to show their support for the RNLI’s planning application by calling, phoning, posting items on social media, writing letters and emailing – your support was invaluable and has been greatly appreciated by everyone at Llandudno Lifeboat Station. Since then, many businesses, groups and individuals have further shown their support by making generous donations towards the cost of the new boathouse, and to all of these donors also we extend our thanks,” he concludes. The work is being carried out by the North-Wales based contractor Wynne Construction. On April 6, Llandudno RNLI took delivery of a brand-new inshore lifeboat. It arrived by road from the charity’s production facility on the Isle of Wight and replaces the station’s existing inshore lifeboat, D-656 William Robert Saunderson. Volunteers at Llandudno RNLI take delivery of the new inshore lifeboat. The new D-793 lifeboat is named Dr Barbara Saunderson to recognise the Llanfairfechan resident who, prior to her death in 2014, generously provided the funds to finance the boat’s construction. A former RNLI lifeboat has found a new home onshore as a rental property in the Scottish Highlands. The post New £2.6 million boathouse for Llandudno RNLI appeared first on YBW. Medway Council is moving forward with plans to build a marina at Chatham Waterfront, close to Gun Wharf. It is hoped it will regenerate the area. The plans for the new marina at Chatham on the River Medway, Kent are still in the early stages. However, Medway Council’s cabinet has agreed to enter into legal discussions with Crown Estates, which owns most of the river bed beyond the shore. The council’s development control team is also being consulted about the preparation of a planning brief for the project, which includes the development of the Riverside 4 building – formerly the Royal Air Forces Association Club. It would also provide mooring facilities on the river, from the Command House pub to the far side of Gun Wharf. News of the new marina proposal comes as Chatham Marina (pictured above) is due to open new berths as part of a £500,000 expansion plan. Speaking to Kent Online, the Medway councillor in charge of strategic regeneration, Rodney Chambers, said the marina could bring “significant income to the authority”, adding, “We have done our homework and there seems to be significant interest from the private sector to develop and operate such a marina”. “It will aid the regeneration of Chatham and also justifies the significant amount of resources we’ve expended on Sun Pier,” he states. Chambers said the marina would be a boost to tourism. This April, 54 new moorings will be available at Chatham Marina. The development by MDL Marinas also includes a new pontoon, which lies alongside the marina’s Historic Dockyard – an 80-acre site featuring museums, galleries and warships from the Age of Sail. The post New marina planned for Chatham Waterfront appeared first on YBW.